Instantly Gain Access To Thousands Of Easy To Play, Awesome Sounding, Chords, Melodies And Riffs Using Open G Tuning On Your Guitar! Despite what many guitar players may falsely believe, open tunings, such as open g, are not designed to make the guitar more difficult for you to play. In fact open tunings exist to make certain things EASIER and in some cases POSSIBLE for you to play compared to standard tuning. I myself avoided playing in tunings like open g for years, because it seemed all too hard to me to have to learn and visualise the fretboard that I had come to know so well, in a whole new light. it was like open tunings were forcing me to have to learn the guitar all over. Well, let me tell you how wrong and flawed that thinking was. Discover the amazing, rich, and melodic sounds awaiting your ears by simply tuning and playing your guitar in open g. This is one of the more popular and common open tunings, and for good reason. 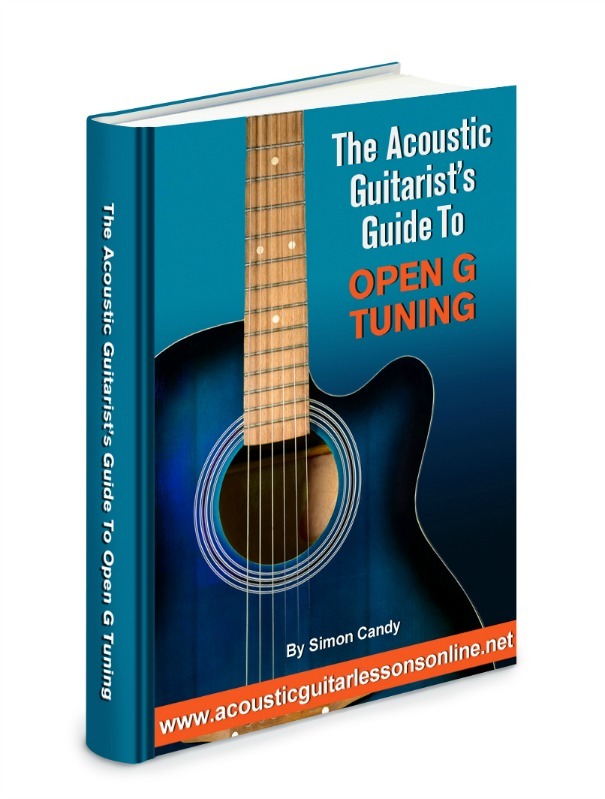 Get free instant access to “The Acoustic Guitarists Guide To Open G Tuning” now. Simply fill out the easy form below, then click the “Give Me Access Now” button.